The Grumpy Strumpet Blog | Come for the food, stay for the adventure! Come for the food, stay for the adventure! I’ve updated my Jabberwocky Development Journal with a new entry. In it I discuss the newly released Misery Stone and some nifty new GUI work by Little Baron. I’ve posted another update for Jabberwocky where I discuss more caves areas and the stunning new work by Hellfire! Check it out today! 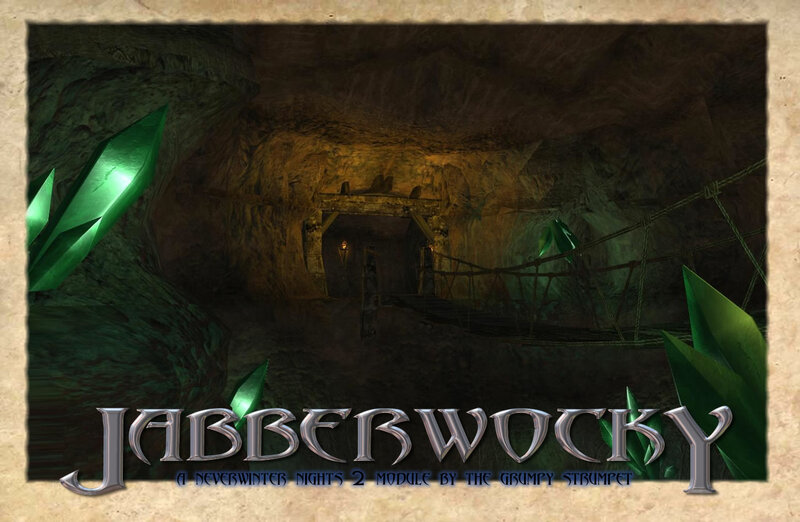 Make sure you check out the new Development Journal entry for Jabberwocky. I discuss the dark dungeons and deep underbelly that the player will have the opportunity to scramble through. I also highlight some great new content from the community. So go check it out…now…stop reading this and go go go! I’ve added a new update to the the developmental journal of Jabberwocky. I discuss a little about the overland map as well as share some new screenshots of creatures and their environments. You can find the new update here! I’ve also added the first of many preview wallpapers for people to download. This first is a snap from the caves deep under the northern mountains. I’ve updated the Jabberwocky Development Journal with some thoughts, news and a few screen shots of what I’ve been doing. Check it out! Welcome to the Grumpy Strumpet! Pull up a chair and welcome to the Grumpy Strumpet! I’ve setup this blog to be a central place for all things strumpet. First and foremost, I wanted to wish everyone in the community a merry Christmas and look forward to all the new mod projects in the new year. A couple areas of note on this blog are the Dear Strumpet section and the Current Project section which can be linked to from the box on the right. 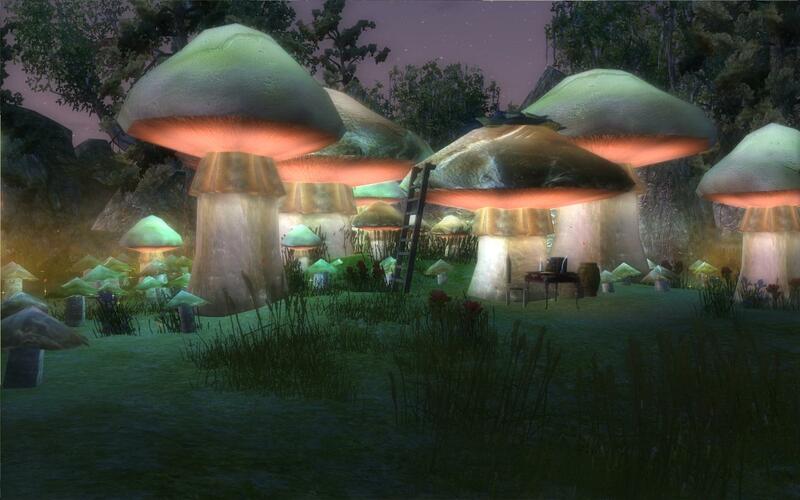 I have begun work in earnest on a module that has been in both planning and building since my days in NWN. 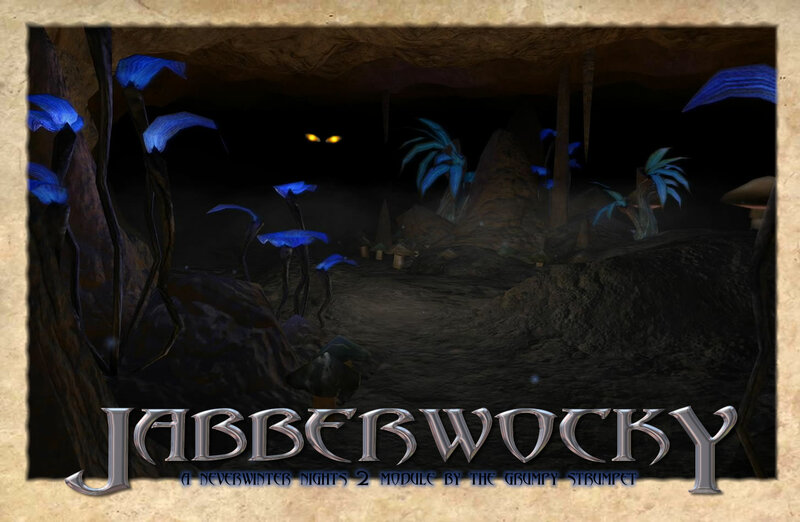 Jabberwocky is a short module that takes the player through a playable version of the classic 1871 poem. I will be chronicling its development in this blog. There is a fair amount of it that is completed already so I have some blog catching up to do. Look forward to it in the next few weeks. Lastly, if you’d like to be kept up to date, feel free to subscribe to this blog by using the box in the right column. Thanks for stopping by and have a great holiday! Submit your email to subscribe to the Strumpet's Blog!